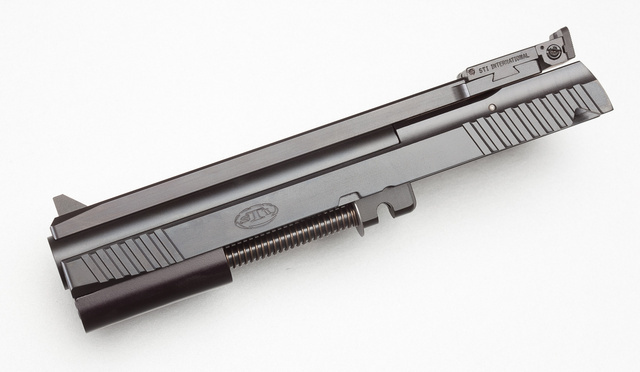 This STI conversion kit swaps instantly with the regular M1911 slide for cheap, low-recoil practice. 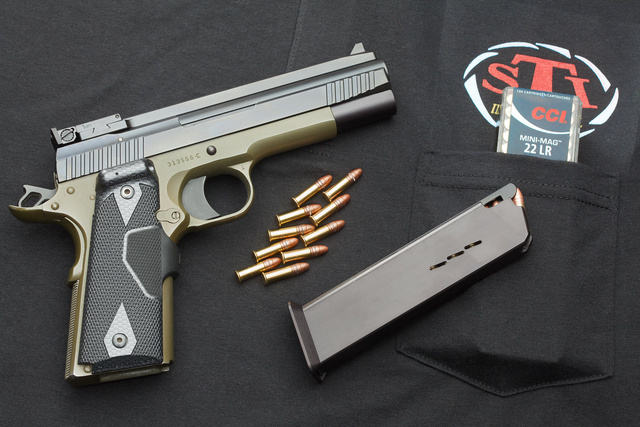 100 rounds of good quality .22LR cost about $6, 100 rounds of 45ACP ball closer to $40. The manual of arms differs from the standard 45ACP upper, so this kit is intended for target practice more than for tactical training. The sights reflect that intent. 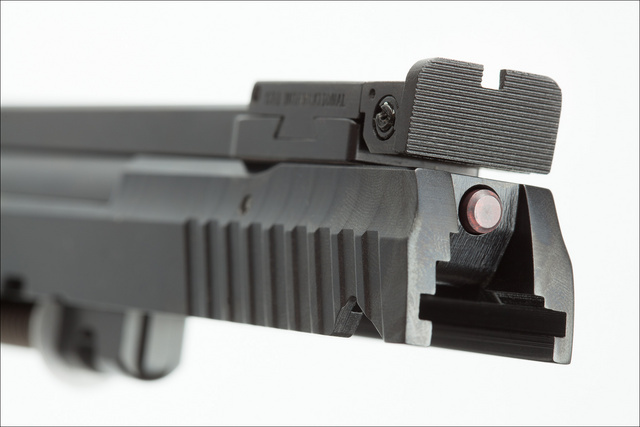 The same conversion kit fits single and double stack 1911 pistol, with only different magazines required. 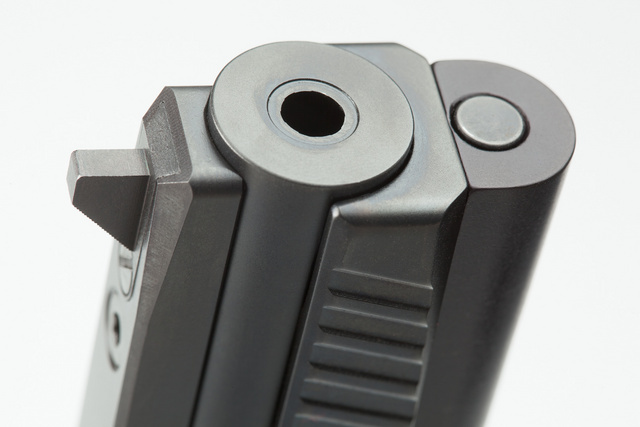 Both single and double stack mags are made of billet aluminum, so they won’t wear out anytime soon. 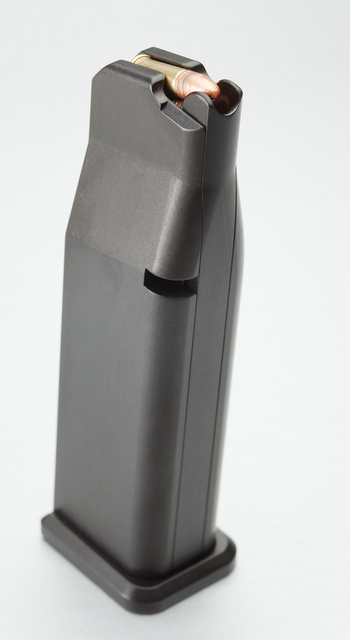 Both magazines hold ten rounds and both protrude slightly under the grip, most likely to allow for the beveled mag wells typical of the STI race runs. 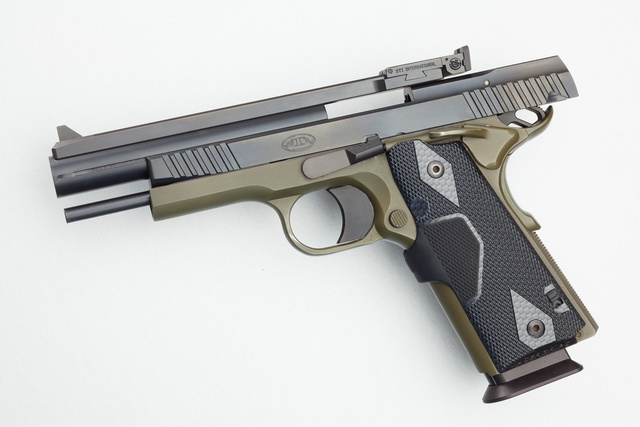 This entry was posted in ammunition, pistol and tagged 22LR, CCI, conversion kit, rimfire, STI, subcaliber. Bookmark the permalink. Oleg, Your photography is unreal. It brings every piece of the firearm alive. Kudos.